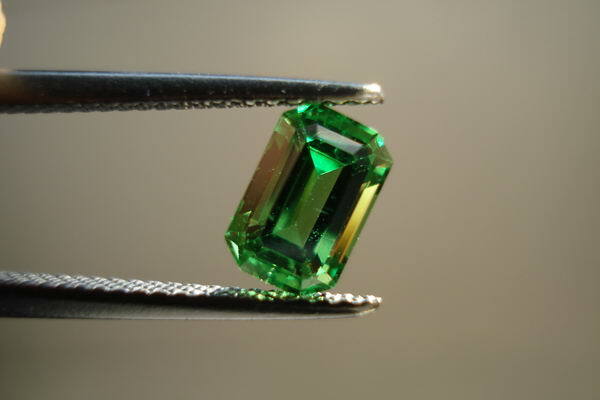 Tsavorite is the green colored variety of Grossular Garnet. It gets its name from the Tsavo river and National Park in Tanzania, where this gem was first discovered in 1967 by the British geologist Campbell Bridges. It gets its color from the element Vanadium (at times together with chromium). Tsavorite is found only in East Africa, in Kenya, Tanzania and recently has been found in Madagascar. Well formed Tsavorite crystals are quite rare, actually more rare than diamond. The majority of gems are being cut from very irregular and fragmented rough. As with diamonds, large gems are rare, with only a handful of known cut gems over 100 ct., and anything above 2 ct. is already considered sizable. 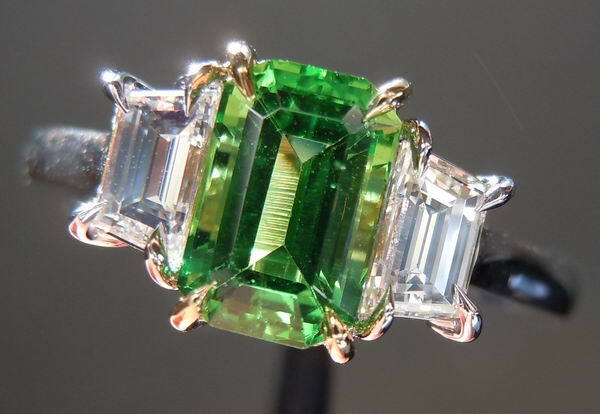 Tsavorite is what most emerald wished they looked like. Tsavorite has a very similar color palette to Emerald, ranging from pale yellowish green to slightly bluish deep green, with the most valuable stones being in the medium to medium dark tones of green and no yellow tinge, not unlike Emerald. 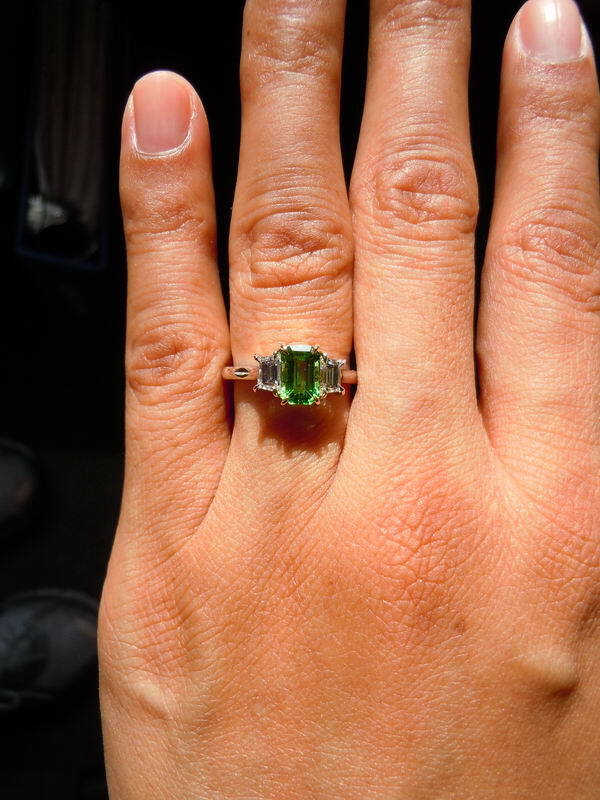 However, Tsavorite trumps Emerald in terms of sparkle and brilliance (refractive index 1.75 vs. 1.58) and has one of the highest dispersion (fire) measures of any colored stone at 0.028. 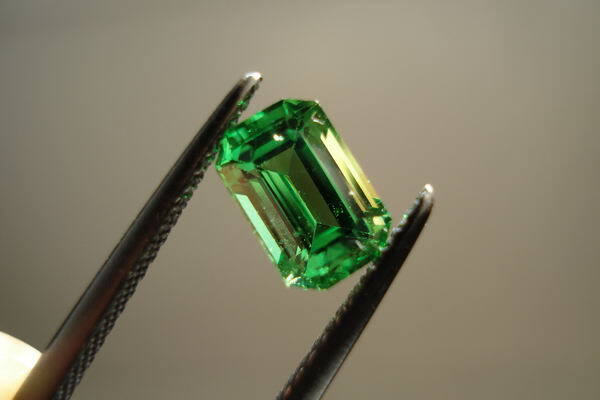 Emerald, by comparison, is 0.014, and king Diamond is 0.044. Tsavorite has other significant advantages over Emerald: although it is slightly softer (7 vs. 7.5 on Mohs's scale), it is much tougher and less included, which means in practice it is more durable and less fragile than emerald. 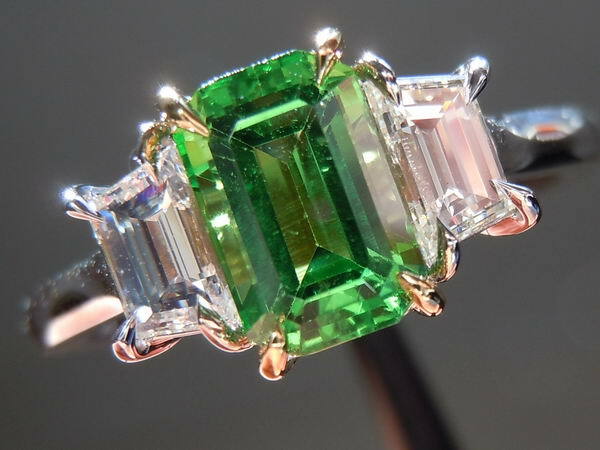 Being less included - most gem Tsavorites are totally eye-clean - it is never treated, unlike emerald that often is oiled or even filled to reduce the appearance of cracks and fissures in the gem. 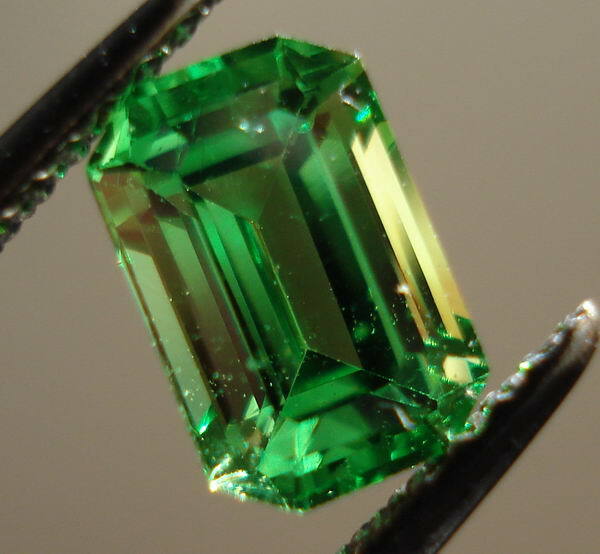 Tsavorite is also significantly rarer than Emerald, yet it is less expensive, since the reputation and demand for Emerald is much greater than that for Tsavorite. 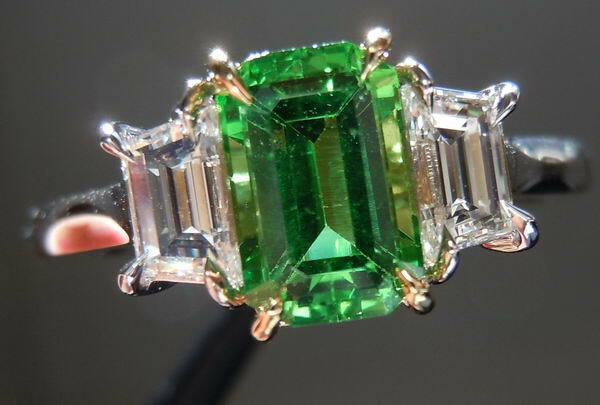 However, Tsavorite prices have risen considerably in recent years as no new sources have emerged, and demand has increased as more people get to know about this beautiful gem. The beautiful tsavorite is set in an 18Karat Yellow Gold basket and prongs while the remainder of the ring is done in 18Karat White Gold. The proportions are perfect. 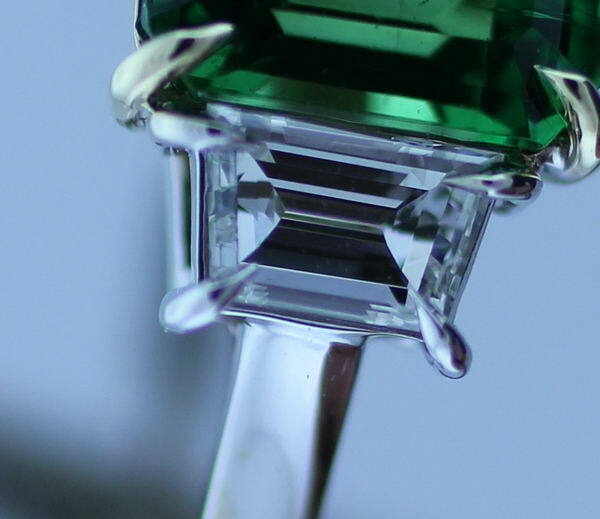 The step cut trapezoids are a perfect match for the tsavorite. The prong work is exquisite! 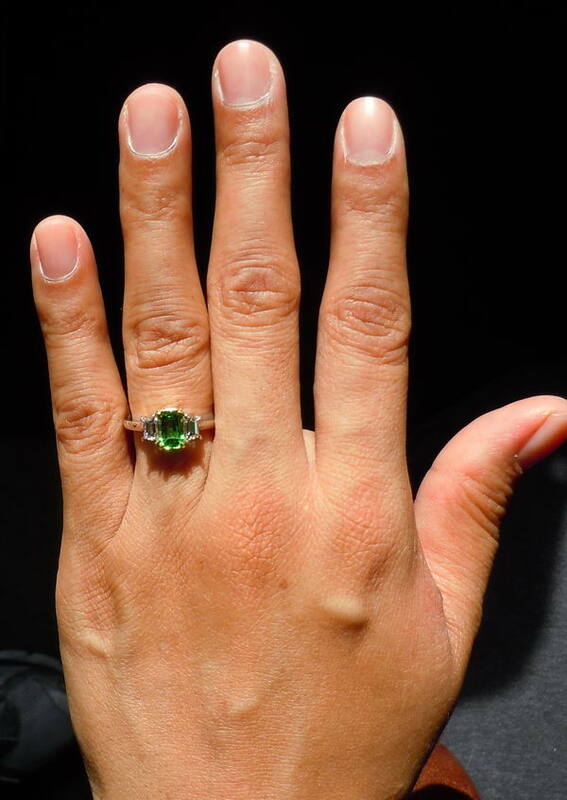 They are stunning long claw shaped prongs that embrace the tsavorite and diamonds. While the ring has a very fluid look from the top, the side view shows how substantial this ring is made. A perfect blend of beauty and quality. 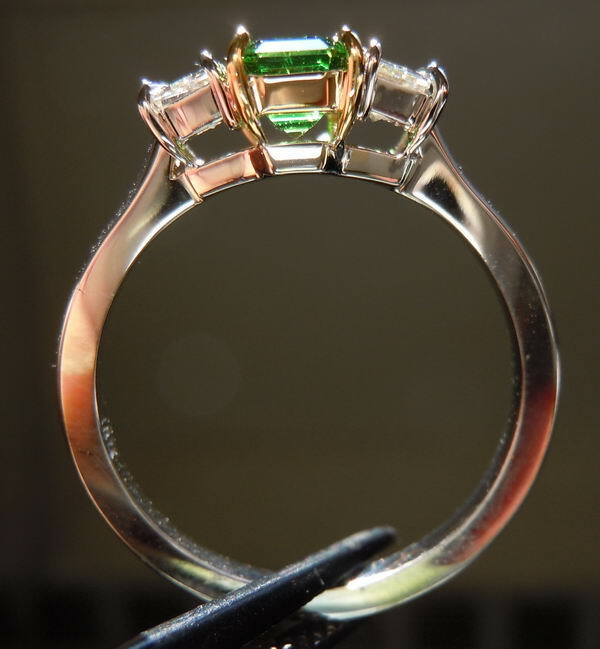 This ring is truly a work of art.